11. 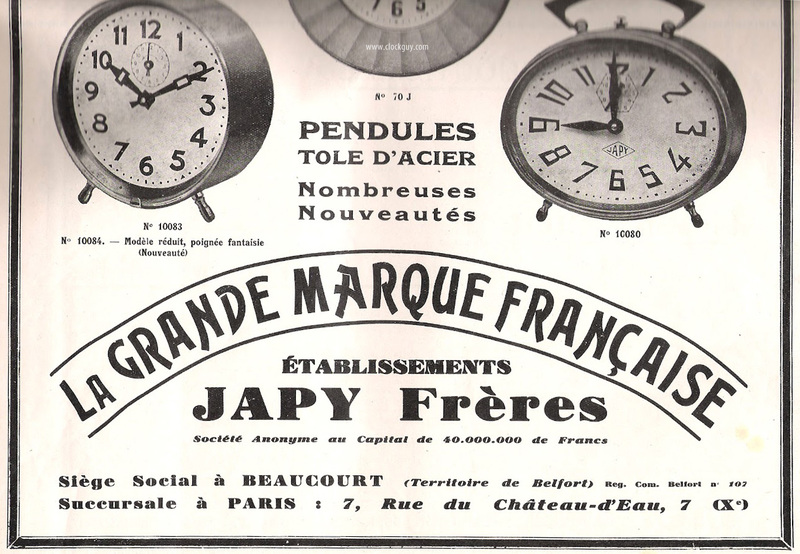 JAPY FRERES: HISTORY + MARKING, YEAR. but of manufacturing in general. Watches were made by hand, by one or more people and then assembled. at one place concentrated at Beaucourt (his native town) in France. In very short time the produktion was more then double the usual way. He also created the machines or modified machines to do this. Japy Freres, Medaille D'honneur. 1855.